In SmartConnect.com, the Realtime Request Log will give a user a summary of the result of a Realtime Process run. The log will show whether the process ran successfully or failed. It will also allow the user to see all or a snippet of the data sent from the real time data source. 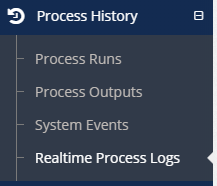 To access the log page, expand the Process History menu option and click on Realtime Process Logs. The page will display a record for each Realtime Process run. If a failure in the process run is indicated, the user can navigate to the SmartConnect Events page (Process History > System Events) for a detailed error message. 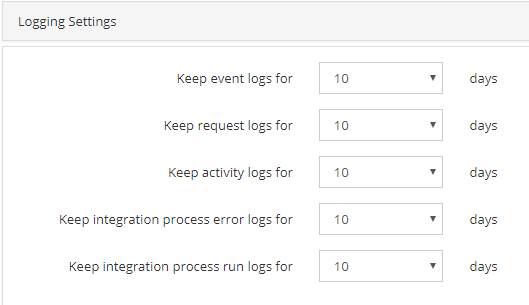 NOTE: If the logs are not manually deleted, they will be kept for the number of days specified in the “Keep integration process run logs for ‘X’ days” field on the Settings page (System > Settings) in the Logging Settings section. Have questions contact me at marty.weets@eonesolutions.com. Happy Integrating!